Every seasoned mountaineer, in his quest to conquer a chosen summit, stops from time to time to get his bearings, to reflect on how far he has come, to assess the trail ahead, and to map out any necessary changes in his path. This process is vital to the success of the mountaineer – the quality of execution distinguishing those who ultimately reach a challenging summit from those who do not. In Armenia’s own attempt to conquer the tall, formidable summit – that is, to resolve the issue of the mountainous enclave of Nagorno-Karabakh – we, as Armenians, are long overdue for a stop to reflect on where we have come, and where we are headed. “The historic choice of the people of Artsakh is an irreversible reality now,” read a line of Armenia’s President Serzh Sargsyan’s message last year to the “dear people of Artsakh.” The laudatory address was delivered in commemoration of the 23rd anniversary of the declaration of independence of the Artsakh Republic, alternatively referred to as the Nagorno-Karabakh Republic. However, with the conflict between Armenia and Azerbaijan over the region unresolved, and the recent escalation of war rhetoric and skirmishes testing the fragile ceasefire agreement, one must ask: Was independence of the mountainous enclave the objective – and so-called “irreversible reality” – many of our parents fought to achieve? The reality is that, 27 years after the start of the Karabakh movement, whose goal was the reunification of Armenia and Nagorno-Karabakh, we have strayed significantly off trail. What we have today is an Artsakh, for all intents and purposes an extension of the Republic of Armenia, an 11th province, that is entirely reliant on Armenia’s defense and funding. In the same respect, we also have an Artsakh that, since its original calls for reunion, has adopted multiple measures that, instead, push for independence. And finally, we have an Armenia that is caught in a state of limbo regarding its position on Nagorno-Karabakh. Armenia takes all measures to assure the survival and well-being of Artsakh’s residents, treating them as its own, but has, to this day, deferred from officially stating the relationship as it truly is. The current state of affairs is not in the best interest of Armenians. Artsakh is – and must be – an integral part of Armenia and all actions undertaken must be toward cementing this irreversible reality. A quick history refresher to better gauge the gravity of the dilemma at hand: The region consisting of the present-day Artsakh Republic has, for millennia, been under Armenian rule. For much of this history, the mountainous enclave was a province of Armenian kingdoms, and during foreign invasions, the Armenian princes of the region were able to maintain some autonomy. With the Soviet conquest of the Caucusus, the region seemed set to be placed under Armenian jurisdiction. In fact, on November 30, 1920, the Soviet government in Azerbaijan SSR recognized the region of Nagorno-Karabakh (as well as the regions of Nakhichevan and Zangezur) as a part of the newly proclaimed Armenian SSR. However, in a classic application of “divide and rule,” Soviet authorities in Moscow reversed previous decisions and allocated the 94-percent-Armenian-populated region to the Azerbaijani SSR. For the next 60 some years, the irredentist feelings of the slighted Armenians were suppressed. However, with “glasnost” and “perestroika” taking hold during the final years of the Soviet Union, the call for righting a blatant wrong was rekindled. 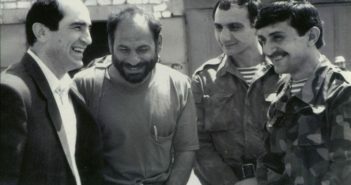 In February of 1988, exactly 27 years ago, Armenians in Yerevan and Stepanakert, the capitals of the Armenian SSR and the Nagorno-Karabakh Autonomous Oblast (NKAO) respectively, began marching under the slogan of “union” and clamors of “Karabakh is ours.” In the following months, the Supreme Soviets of the NKAO and the Armenian SSR voted and demanded for the unification of Nagorno-Karabakh with Soviet Armenia. With demands being rejected by the Azerbaijanis, and more importantly by the powers in Moscow, increased tensions in the region resulted in a full-scale war. It’s important to note here that at no point in the initial stages of the Karabakh movement was independence for Nagorno-Karabakh even discussed. The region was viewed as an inseparable part of Armenia; union of historical Artsakh with Armenia was the natural call. Yet today, the Armenian government and most members of the Armenian Diaspora praise the independence of Artsakh as an historic feat. Why the sharp turn in policy? Nagorno-Karabakh declared its independence in September of 1991 – a time when other Soviet republics, including Armenia and Azerbaijan, were declaring their own independence from the Soviet Union. A referendum for independence was conducted in December of 1991, when the Soviet Union was still internationally recognized, and the referendum was fully in accordance with the relevant Soviet law concerning exit from the USSR. The logic behind this policy and course of events is understandable; Nagorno-Karabakh was declaring independence from a failing Soviet Union in the same fashion as its neighboring countries were striving to create new democracies of their own. At the time, the decision to declare independence was viewed as a temporary, strategic solution, and reunification with Armenia would be the next step. The leaders of the Karabakh movement believed that a declaration of independence would resonate well on the international stage and dispel the false, but alarming, claims that the war in the Caucasus amounted to an attempted annexation of Nagorno-Karabakh by Armenia. What is less understandable is why, after the official fall of the Soviet Union, Nagorno-Karabakh didn’t reaffirm its original intention to create a union with Armenia. Instead, in 2006, a referendum was held that established a constitution and defined Nagorno-Karabakh as a sovereign state. However, to this day, no U.N. member state, including Armenia, recognizes Nagorno-Karabakh’s sovereign status. 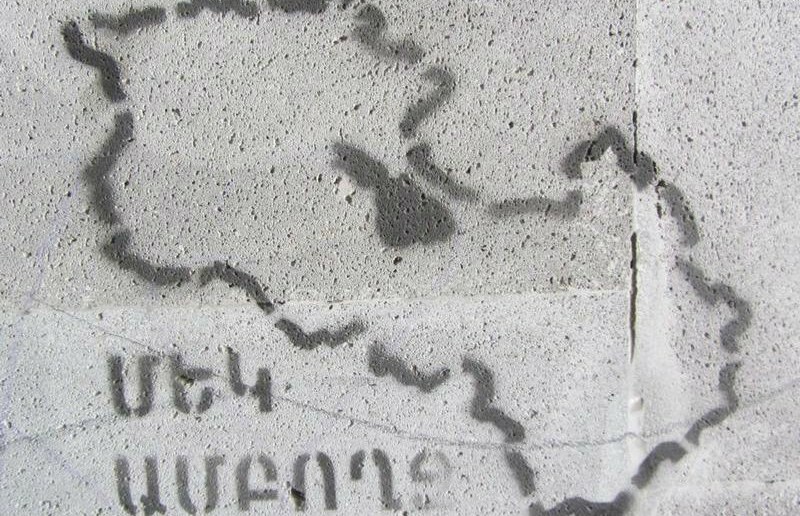 How do we need to perceive the multiple declarations of Artsakh’s independence? Armenians sacrificed their lives, lost their sons and daughters, and endured a harsh blockade, all in the pursuit of a dream to restore, at least in part, a united, historical Armenia. Liberating our brethren in Nagorno-Karabakh and recovering the lands that were unjustifiably seized from us were the driving forces, the inspiration of all Armenians, in their sincere and unconditional support of Artsakh. But the longer Armenia takes to declare its bona fide position, the more challenging it will be to elucidate and expound the quarter-of-a-century delay. If it is fear that a declaration of union between Armenia and Artsakh will trigger a second war with Azerbaijan that prevents us from assuming an assertive stance, then we need not worry. The Azerbaijani government could have easily misrepresented any of the recent skirmishes as an act of aggression from Armenia – which is, in fact, what it did – and utilized its casualties as a pretext for war. The fact is that Azerbaijan is regularly testing Armenia’s military strength. The day that Azerbaijan assesses that it can attack and overpower Armenia’s defense is the day a war will begin. If, on the other hand, Nagorno-Karabakh has the audacity to declare itself a tiny, less than 150,000-strong sovereign state with the intention to pursue independence yet rely on Armenia for all its needs, then Armenia must redress the situation. I won’t consider this alternative as a viable possibility, since Nagorno-Karabakh stands no chance of survival on its own in the demanding Caucasus Mountains. Serzh Sargsyan’s congratulatory message quoted at the beginning sheds light at Armenia’s uncertain position regarding the status of Nagorno-Karabakh and this policy of indecision is producing detrimental repercussions. The president of Armenia commemorated the declaration of independence of Nagorno-Karabakh, but he addressed the “people of Artsakh,” not its citizens. It appears from this message that Armenia implicitly recognizes Nagorno-Karabakh’s independence from Azerbaijan but is not willing to recognize Nagorno-Karabakh as a sovereign nation, one capable of lawfully having citizens. Conversely, on the official website of the president of the NKR, a section titled “The History of Formation” begins the narrative with Nagorno-Karabakh’s declaration of independence in September 1991. The page describes the NKR as a full-fledged parliamentary republic and there’s absolutely no reference to the critical Armenian involvement that allowed for the liberation of Nagorno-Karabakh from the Azerbaijani yoke. Such vagueness and inconsistency in position has led to a hazardous situation, placing Armenia’s developments and investment in Artsakh over the last 27 years at risk. The case for Artsakh being considered native Armenian territory is actually stronger than the case of Russia and Crimea. However, because we, as Armenians, cannot point to a referendum by Nagorno-Karabakh residents that resulted in a vote to form a union with Armenia, other nations can, and do, easily lever our handicap against us. We cannot afford to play the chess game of world politics without developing all our pieces; our opponents will take advantage of our weak strategy, and we risk losing the game. The policy of influential lobby groups in the Armenian Diaspora, such as the Armenian National Committee of America (ANCA), is also distressing. Spurred and persuaded by Armenian lobbyists, the state legislatures of California, Maine and three other states have recognized the independence of Nagorno-Karabakh and have called for the US federal government to do the same. I already discussed the implausibility of independence for a region that has survived solely due to Armenia’s continuous support. It’s also of paramount importance to consider the international perception when the rest of the world sees Armenia and its Diaspora pursuing two differing courses on the same issue; namely, Armenia is plagued with indecision whether to recognize Artsakh’s independence or to form a union, while the Diaspora is actively pursuing recognition of Artsakh’s independence. Armenia and the Diaspora must, instead, present a united front and pursue world recognition of an Artsakh rightfully united with Armenia. The current situation bears an eerie semblance to what transpired when Avetis Aharonian, the official representative of the First Republic of Armenia, and Boghos Nubar, the representative of the Ottoman Armenians, arrived at the Paris Peace Conference with differing petitions to the Council of Ten regarding the territories demanded from the Ottoman Empire. While Boghos Nubar demanded in his speech that Cilicia be included in the Ottoman lands allocated to the Armenians, the instructions Aharonian had received before leaving Yerevan were limited to demanding the six Armenian vilayets and an outlet to the Black Sea. Wanting to present a unified Armenian voice and, at the same time, adhere to his orders, Aharonian made only vague references to the territories of the former Ottoman Empire that the Armenians were demanding. “Both sections of Armenia represent a single geographic and economic whole,” he ambiguously stated, not clarifying exactly what lands the two sections consisted of. Consequently, Cilicia was not allotted to Armenia in the following Treaty of Sevres. Today, with Artsakh under Armenian control, Armenia and its Diaspora must bilaterally push for recognition of a united Armenia and Artsakh in order to avoid repeating a similar mistake. In the wake of the centennial commemoration of the Armenian Genocide, when we are desperate and determined to obtain recognition of the tragedy, we are, at the same moment, disregarding, and even, ignoring, the perils facing our current state. Armenia’s population has dwindled. Young men abandon their motherland for fear of being recruited to the army and killed defending Artsakh’s border with Azerbaijan. Much of the remaining population is demoralized with the status-quo and seek more promising opportunities outside of Armenia. 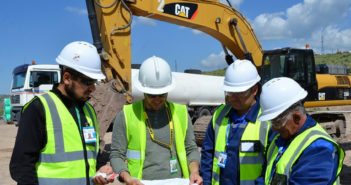 Risk-averse investors, who don’t like the current state of uncertainty regarding Armenia’s and Artsakh’s status, are investing their capital in more stable havens. Through all this, many Armenians focus their attention and efforts to recovering from Turkey the lands encompassing the six Armenian provinces of the former Ottoman Empire. Meanwhile, Artsakh, an integral part of historical Armenia, is currently under Armenian control, but we have not yet openly declared a union – and one that would rectify history’s injustices at that. A union between these two regions will uplift the spirit of its people and it will confirm that all progress and sacrifice was not made in vain. Armenian soldiers will know with certainty that they are fighting for a united Armenia and not for anything else. A union will pronounce Armenia’s true position in confidence and lead to a more stable policy going forward – one that is more conducive for growth and investment. The elected officials and leaders of Armenia and Artsakh must come together and openly, without gimmicks, form a united coalition and create a document announcing their collective decision to unify Armenia and Artsakh. We must proclaim to the world that “United we stand!” The clock is ticking. We are in a state of urgency and we must act accordingly. Perhaps the best reason to declare union is because Azerbajian refuses to negotiate with independent Artsakh, even though Armenia demands it to the MINSK Group the Azeris always reject that. If the Azeris refuse to recognize Artsakh they all therefore effectively already recognize Armenian hegemony there. Good article. Artsakh’s case is certainly better than that of any recent region that has become independent. Armenia may not be recognizing Artsakh or formally uniting with it (assuming Artsakh wants that) because Artsakh has certain inalienable rights to be separate from Azerbaijan that other people can understand. It does not look like a land grab by Armenia. Instead, it looks like and is a wish to be free from Azeri repression and to regain its national rights. I am describing how it looks to outsiders. There is something to be said for that. Armenia itself cannot be totally pressured because it has not done anything more than support Artsakh’s rights. By dividing responsibility, it makes them a more difficult target. That is the perception anyway. You did considerable background research and made a commendable effort to argue your case. Unfortunately, your conclusion is incorrect. geostrategic reality in general, and the Caucasus region in particular. Specifically, the fact that NKR is a unrecognized non-UN state gives it tremendous advantages. This seems to be the first amateur article my Armenite, not so much by Aram. The article by Aram is well researched, and makes clear that the call for Artsakhs independence could be a temporary disguise or true intention. This ultimately doubts the loyalty of Artsakhian’s to Armenia. I forward my disappointment to Armenite for not tailoring the article from a different perspective and covering the proposal of a one state solution. I argue that a one state solution is impossible in international law. Our law makers and politicians as “stupid as they are” have been treading carefully on the Karabagh issue and their call for self-determination which underlines independence was a correct move from the early 1990’s. Is there a doubt of Kosovo Albanians loyalty to Albania? Could Kosovo ever reunite with Albania? An attempt to unravel reasons for Nagorno Karabagh’s deceleration of Independence is a concern for any Armenian interested in politics and the fate of Karabagh. Though, a grasp of international law and and the patterns of policies in the region insist on the next move for a call for independence. Independence as a nation state is the only way we can proceed with a peaceful resolution. There is unfortunately no way to lobby on a united front, it is not possible. I personally wish it was. My argument is based simply of the drawing of borders. Karabagh belongs to Azerbaijan and that’s it. If we proclaim Karabagh belongs to Armenia there is no leg to stand on in international court, the world can reverse its decision on Armenians claims to the region and can debate a stronger reason for a international intervention if a war starts(or without a war) taking the sides of Azerbaijan or the side which presents more for their national interests at this time Azerbaijan. This is all game, Artsakhian’s are united with Armenia and geopolitics calls for an action of independence. Thank you all for your comments and interest in my article. Mr. Avery, I would like to ask why you think the present arrangement is in the best interest of NKR and Armenia. What are the “tremendous advantages” of the current arrangement? I am trying to understand the rationale behind that point of view, but cannot think of any long term benefits. The way I see it, Artsakh is completely reliant on Armenia, its residents are entitled to Armenian passports, even the money donated by the diaspora to the Armenia Fund is sent to build roads in Artsakh. Yet given the implications of the current political arrangement (the combination of Armenia’s indecision, the diaspora’s calls for independence, Artsakh’s push for independence, and Azerbaijan’s fervent calls for recovering “their” territory), losing Artsakh is a very real possibility. To continue, Trdat, I would like to ask why you so easily dismiss a union between Armenia and Artsakh as “impossible.” If our end goal is indeed to form a united country-and I cannot imagine anything else-then the longer we postpone declaring our bona fide position, “the more challenging it will be to elucidate and expound a quarter of a century delay.” It is better to tell it like it is today, and thus, the international community will sooner begin digesting the reality that Armenia and Artsakh are one. Artsakh today is not independent, neither in the de facto nor de jure sense, and the world has long realized that. While I’m sure we will experience some outcries from the OSCE Minsk Group and perhaps some other disturbances in the short run, the international community will sooner or later accept this irreversible reality. Recall, there were initially strong outcries regarding the claimed annexation of Crimea by Russia (although a snap referendum was conducted), but the world has, less than a year later, shifted its attention to other more pressing matters: Eastern Ukraine, ISIS, you name it. And what do we have to lose? Currently, our half-hearted calls for independence are neither leading to a peaceful nor lasting solution. We are still enduring a harsh blockade and other difficulties that arise from sharing borders with hostile/unfriendly countries. I think an interesting analogy to our Artsakh movement to consider is the Goa liberation movement. Portugal had colonized parts of India (including Goa) in the early 16th century, and maintained control even after India’s independence in 1947. By the 1940’s, the Goa liberation movement had taken hold and numerous protests against Portuguese rule were staged. However, with mixed signals from the new Indian government (their main focus at the time was on the Indo-Pakistani war) and strong Portuguese repression, the movement broke apart. Ultimately, India once again placed the liberation of Goa from Portugal on its agenda, and seeing no other solution, invaded the territory in 1961. Goa became an autonomous, federally administered territory and, in 1987, Goa was admitted to Indian statehood. While the US and other countries initially protested India’s military solution, the reality was that the international community had more pressing issues. Kennedy was frustrated and told the Indian ambassador, “You spend the last fifteen years preaching morality to us, and then you go ahead and act the way any normal country would behave … People are saying, the preacher has been caught coming out of the brothel.” However, with the conflict with Cuba and the botched Bay of Pigs operation taking center stage (as today ISIS and Eastern Ukraine are doing), the US came to accept the new irreversible reality. There was no NATO interference, and the USSR vetoed a UN Security Council vote against India. Also Portugal’s Salazar was not a well-liked figure (one can argue Aliyev is not either), so the world did not sympathize with the Portuguese. Trdat, given that there are similar historical precedents, I hope you will consider my argument and perhaps change your opinion. To continue, Trdat, I would like to ask why you so easily dismiss a union between Armenia and Artsakh as “impossible.” If our end goal is indeed to form a united country-and I cannot imagine anything else-then the longer we postpone declaring our bona fide position, “the more challenging it will be to elucidate and expound a quarter of a century delay.” It is better to tell it like it is today, and thus, the international community will sooner begin digesting the reality that Armenia and Artsakh are one. Artsakh today is not independent, neither in the de facto nor de jure sense, and the world has long realized that. While I’m sure we will experience some outcries from the OSCE Minsk Group and perhaps some other disturbances in the short run, the international community will sooner or later accept this irreversible reality. Recall, there were initially strong outcries regarding the claimed annexation of Crimea by Russia (although a snap referendum was conducted), but the world has, less than a year later, shifted its attention to other more pressing matters: Eastern Ukraine, ISIS, you name it. And what do we have to lose? Currently, our half-hearted calls for independence are neither leading to a peaceful nor lasting solution. We are still enduring a harsh blockade and other difficulties that arise from sharing borders with hostile/unfriendly countries. Trdat, I forgot to add one more note regarding your surprising statement that “Karabakh belongs to Azerbaijan and that’s it.” I am just wondering on what historical, demographic, or geographical basis are you arguing that Artsakh belongs to Azerbaijan. Even in terms of officially recognized borders, it should be emphasized that upon declaring independence from the Soviet Union, Azerbaijan declared itself to be the successor state of the Republic of Azerbaijan of 1918-1920. However, the League of Nations never recognized Nagorno-Karabakh as being a part of the Republic of Azerbaijan. “Article 2. The Republic of Azerbaijan is the heir of the Republic of Azerbaijan that existed from May 28, 1928 till April 28 of 1920. Hence, Azerbaijan declared all decisions by the USSR regarding Azerbaijan SSR (including the placing of the NKAO into Azerbaijani jurisdiction) as null and void. I will try to answer as best I can. The first thing, people who advocate for recognition of NKR by RoA, which would include officially attaching it to Mother Armenia, is to accept the fact that the international community will reject it our of hand. RoA will be subjected to all sorts of international pressure and sanctions, which could possibly include tacitly giving the green light to Azerbaijan to start a mini-war. If anyone doubts that, observe what has Russia been subjected to after Crimea, a historic Russian territory, voted to re-join Russia. The same thing will be done to RoA: how long do you suppose RoA can resist that kind of international pressure. It should be obvious that it is in the interest of everyone, except the fake state of Azerbaijan, that the status quo continue. Why obvious ? OCSE is clearly not putting any kind of pressure on RoA to resolve anything. They are just going through the motions for show. More than once Azerbaijan has tried to circumvent OCSE, and they run into brick walls. Azerbaijan is hysterical and is desperately trying to find other international forums to advocate its interests before it’s too late. Azerbaijan is desperate, because it knows passage of time works for Armenians: things naturally gel. Its oil is running out. Plus the crash of oil prices will slowly but surely drain their treasury. 90% of their economy is tied to hydrocarbons. Internal ethnic, social, and religious cracks are getting wider. So what are the advantages of being non-UN for NKR. Being a member of UN imposes many, many obligations on the member state: too many to list here. One example though: RoA is obligated to report the number of heavy weaponry it has in its inventory and what kind of weapons. RoA is obligated to allow periodic inspections of its military installations and inventory by foreigners. NKR has no such obligation. Nobody, I mean nobody, can enter NKR without their consent. It has been reported that NKR has more heavy military hardware than knows where to put them. NKR can have weapons that nobody knows about, because they don’t have to tell anyone. 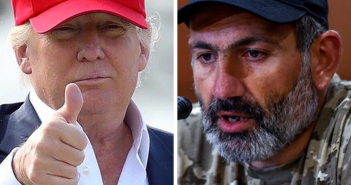 NKR can have weapons that are very effective in war, but are prohibited by UN: who can say or do anything ? NKR is not subject to UN. Next advantage is the liberated lands. I understand we lack the funds and people. But assuming that problem is solved, you create facts on the ground: UN can do nothing, because NKR is not recognized. “We cannot control what those crazy mountain people do…” , which is actually partially true. Yes, IC can put pressure on RoA through back channels, but there will be plausible deniability by RoA: it is done all the time all over the world; it works. If RoA is officially separate from NKR, it will be very hard to get traction to do anything against RoA. In fact throughout the length of LOC, very deep, permanent defensive lines have been constructed since 1994. RoA and NKR can play “good cop/bad cop”, while we collectively work to create facts on the ground. Much works has already been done: for example, Berdzor region is being slowly repopulated. As far as UN is concerned, anything outside NKAO footprint is supposed ‘occupied’ Azerbaijani territory. We are building new highways through land that is supposed (by UN) Azerbaijani territory. It’s the wild, wild West: NKR can do a lot on lands it controls. Who is UN going to complain to ? When funds and people are available, settlements will be build in Southern NKR all the way to Arax river. Things are going swimmingly for RoA and NKR: why upset the apple cart by a useless, even dangerous recognition/union ? RoA/NKR need to keep negotiating for the next N years…..
Our collective (including especially Diaspora) objective should be to do everything we can to achieve delegitimization and dismemberment of the fake state of Azerbaijan, and freeing of its indigenous peoples –such as Talysh, etc – from the nomadic Turkic yoke. Going forward, my opinion is that when Azerbaijan is dismembered, then the recognition of NKR (in its present configuration, not the NKAO footprint) by the IC will be automatic. And at that time I see no reason not to have 2 separate Armenian republics. Why not have two Armenian republics in UN with two votes ? Even in the distant future, if we manage to re-create a small Republic of Cilicia around Adana/Kessab, then we can have a 3rd Armenian republic in UN. Anglo-Saxons, or as Churchill called them “The English Speaking peoples”, have mastered it. USA, Canada, England, Australia, New Zealand: they are all independent countries, but are interconnected and interlocking when it comes to world politics. They essentially rule the world, because of the overlapping, mutually re-enforcing, yet distributed structure. The “one”ness of Armenia and Artsackh is indisputable. Politically, one vote is just one vote. Two votes becomes a voting block. With Cilicia, three. I see four votes. Armenians outnumber Abhazian natives in Abhazia.